A woman attending an Occupy Wall Street gathering claims that she was raped by a fellow protester during a protest this past week. The 19-year-old college student, whose name has not been released, says that she was raped inside an Occupy Wall Street tent, which she had been sharing with the alleged assailant. 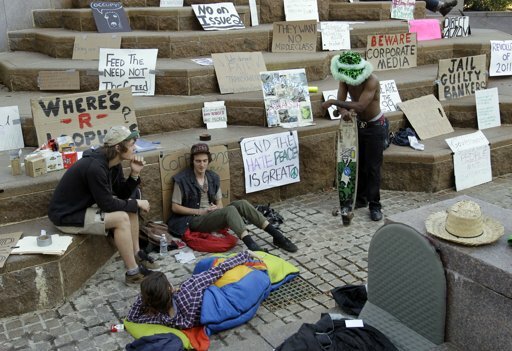 Specifically, the sexual assault happened at "Occupy Cleveland" during this past weekend. According to CBS, the personnel at the event told the woman and the man, who identified himself as "Leland," to share a tent because of shortages. After the woman thought "Leland" was asleep, the attack happened. The following Monday, the student told her teacher about the assault. It happened in Cleveland. Get accurate or shut up.